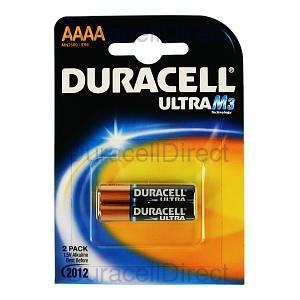 Durcaell Ultra AAAA alkaline battery with high performance cathode technology. Duracell Ultra is the most powerful Duracell battery ever, giving more energy, efficiency and power. Especially suited to Cameras, camcorders, with high energy output, reliability, long shelf life, and good low temperature performance.